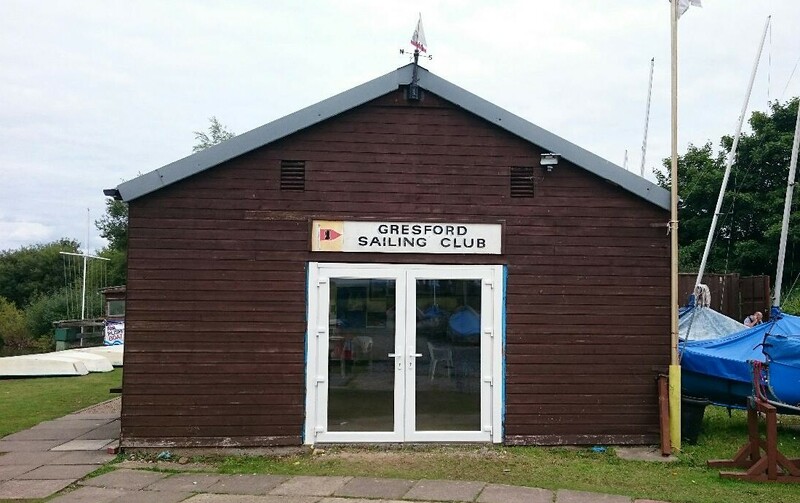 Wow new doors fitted to the clubhouse to replace the very tired wooden ones now nearly all doors and windows match. Thanks to Nick and Simon for organising and fitting the doors great job guys. 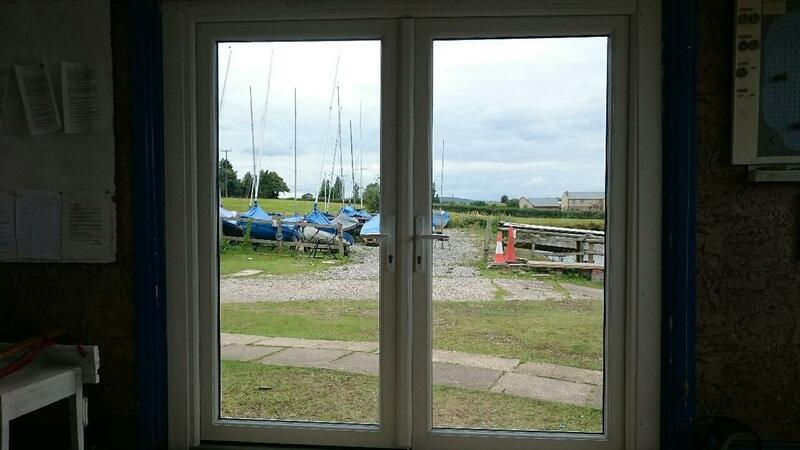 Now you can see you’re boat whether it on the water or in the boat Park from inside the clubhouse. Hi all sorry for the odd dates,anyway Wednesday saw 9 boats out it was good to have people out who have not been for a while Jim Y took the club Laser out ( which any member can do) after along break with a back problem I hope you keep getting better and Stewart who has not sailed with us for more than 20 years was persuaded to helm for Shan and had a good race,Jeanette of course won again,well done watch that handicap!. See you all soon for more fun and good sailing at the Flash. Well Nick came down using Paul S, s solo advantage to challenge Stewart and Shan in the Enterprise and he won despite a good battle. Congratulations to Naomi and Gareth who are now the proud parents of a baby son born July 2nd 10lb 4oz Dafydd Bryn. I am sure all the club members are looking forward to meeting him ,again congratulations. All welcome members and non members,come down for a chat and a cup of tea and see what goes on. We will have sailing boats that can take you for a sail on the lake,no experience required,we will also have the sailability boats there which are aimed at people with disabilities,the Model boats will be there showing various types of model boats powered and sailing also the Model Engineers who are baased at the Pant Yr Ochain will be there showing their steam power off. We are there all day so why not pop down for a look.